Is It Possible to File for Bankruptcy During Florida Divorce? 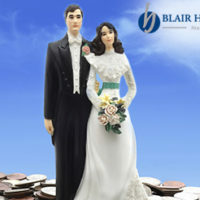 There is no doubt that there is a serious connection between personal bankruptcy and filing for divorce. You may even have questions about whether it is appropriate for you to file one before the other. Consulting with a knowledgeable divorce lawyer is something that can be extremely helpful for laying out all of the issues associated with the typical divorce. While some people may be under the impression that their divorce is relatively straight forward consulting with a lawyer can help to illuminate issues and give you further insight about the next steps that you should take. If you are seriously concerned about how divorce might affect your finances or if you are under the belief that you may need to file bankruptcy sooner rather than later a lawyer can help to explain to you how divorce may influence your personal finances and your ability to file bankruptcy. He or she may also be able to recommend a bankruptcy attorney in the area in order to partner together for addressing all of your legal issues. Money problems can unfortunately lead to divorce. Filing for divorce and bankruptcy at the same time may seem to make a whole lot of sense, particularly if you ran up debt while you were married. However divorce and bankruptcy are two different legal processes that can sometimes be at odds with one another. Here are several things you need to know about the process so to prepare yourself and to determine what’s right for you. Should I File for Bankruptcy During Divorce? Filing for bankruptcy during divorce proceedings can actually slow down the process. Divorce courts might make rulings about visitation, alimony, child support and child custody when a bankruptcy is still in process. A state divorce court however cannot make decision about your property in the event that a federal bankruptcy can, court still has control over it. Your divorce decree might stipulate that you have different financial obligation that are made with your spouse in exchange for a type of property. In the event that you file Chapter 7 bankruptcy you will be unable to wipe these out. However if you file for Chapter 13 bankruptcy you may be eligible to roll these into your overall payment plan. A trustee receives extra income each month in a Chapter 13 bankruptcy after you pay your necessary bills and then the trustee would distribute this among your creditors. One of your creditors may include your former spouse. At the conclusion of your Chapter 13 payment plan and you find that you still have an obligation to pay the other individual, that part of the debt can usually be eliminated but you need to speak to your knowledgeable divorce and bankruptcy attorney in order to determine what this might look like in your unique situation. If there are certain debts that must be paid as part of your divorce decree you may be tempted to file for bankruptcy in order to eliminate them. Your creditors can’t come to you for payment if you file for bankruptcy once you have initiated the divorce proceedings. However they can still look at you ex spouse for payments of debts that you both signed for. An ex-spouse who is responsible for paying these debts even though the divorce court ordered you to take responsibility for them can’t take you back to divorce court and the court may order you to pay your spouse back or you will end up paying these debts anyways. In the event that your former spouse is passed to you child support or alimony as a result of your divorce decree you cannot eliminate these debts in a Chapter 13 or a Chapter 7 bankruptcy. The bankruptcy court will also forbid you from filing a Chapter 13 discharge and therefore finalizing your case in the event that you still owe pass to spousal support or child support. As you can see there are many complex issues involved when you are thinking about both bankruptcy and divorce. Consulting with a knowledgeable attorney in each area is strongly recommended. Your initial consultation with a Florida divorce lawyer can help eliminate you as to the key issues involved in your case and the next steps that you need to take in order to protect yourself.